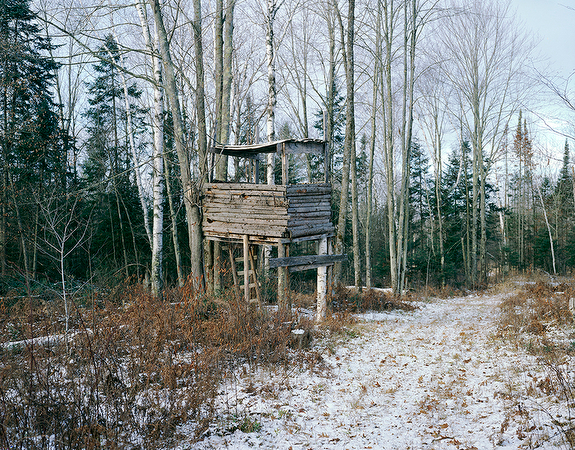 hide began as a commentary on Wisconsin’s hunting tradition, using deer stands as a visual motif. When my sudden cancer diagnosis interrupted the project, hide took on a more personal meaning. 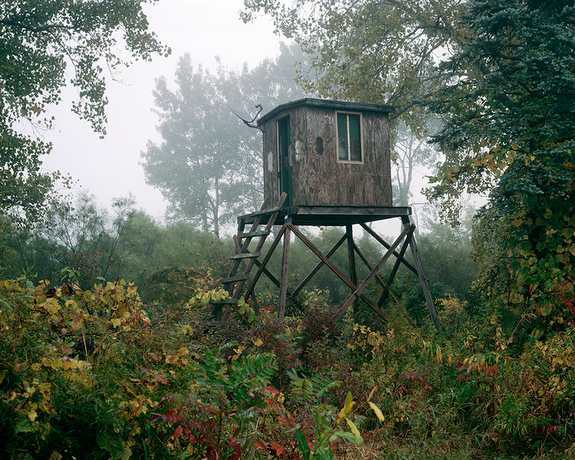 I was inspired on drives through Wisconsin by deer stands, and began asking hunters about them. Some described building stands for the next generation, especially sons who would inherit the land. I was anticipating the birth of my own son and thinking about my legacy to him, so this idea resonated strongly with me. 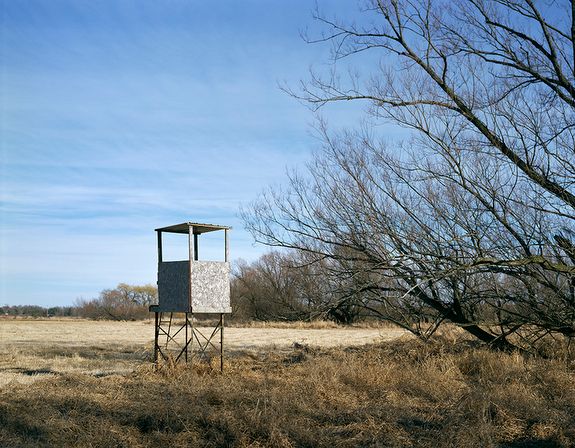 Others emphasized that the stands did not represent violence, but oneness with nature and time spent with their children. I wanted these photographs to capture that serenity. When I was diagnosed with leukemia in 2011, my work on hide was put on hold. I was 32 with a 3-month-old baby at home. Having to face mortality so unexpectedly made me come back to the project with a new perspective on the ideas of permanence and impermanence, legacies and family, and accepting change.